We all come to work with our own moral code and set of values. But sometimes, we have trouble voicing them when someone in a position of power asks something that, in our personal lives, we’d see as “wrong.” After all, it takes courage to tell a boss she might not be making a principled decision. An ethical workplace culture would allow room for employees to articulate – and then, if appropriate, act on – their values. 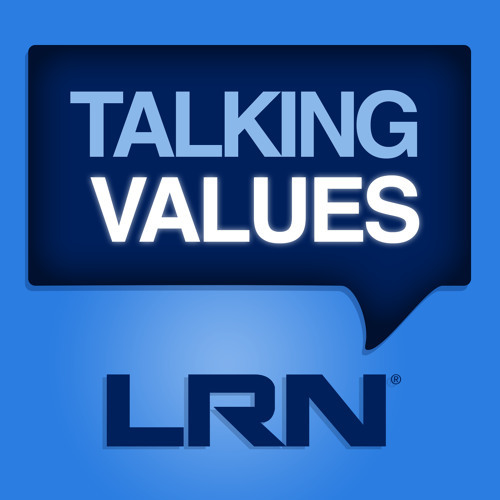 In this episode of Talking Values, host Michael Bramnick, and LRN colleagues Dr. Marsha Ershagi-Hames and Dr. Ted Nunez, talk about how practice makes perfect when it comes to engaging employees in exercises that present relevant ethical dilemmas that are easy to identify with. In so doing, employees are able to collaborate with their colleagues and develop a sense of shared accountability with regard to voicing values in the workplace.